Hand crafted, hand painted Thoroughbred horses head. Sculpted by Rachel Preston-Hartley and manufactured in Warwickshire, England. 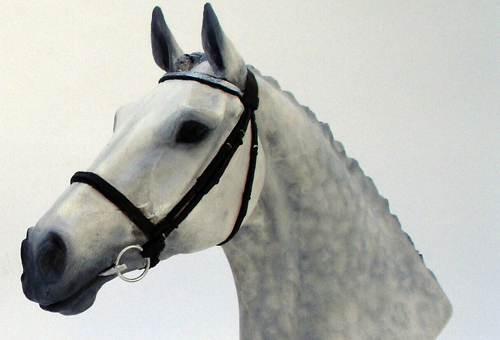 Avaliable in Bay, Grey, Chestnut or Dark bay alternatively this product can be painted from photographs (can be emailed) to resemble your horse at no extra cost. A great present or memory of a faithful friend. H-7.5ins W-4.25ins £99.95 + £7.95 p&p (UK mainland only).